$25 per class plus $50 annual registration fee. You may pay with three instalments throughout the year. Is your child creative and talented? Does your child love music and sound, but struggle to pay attention during private lessons? 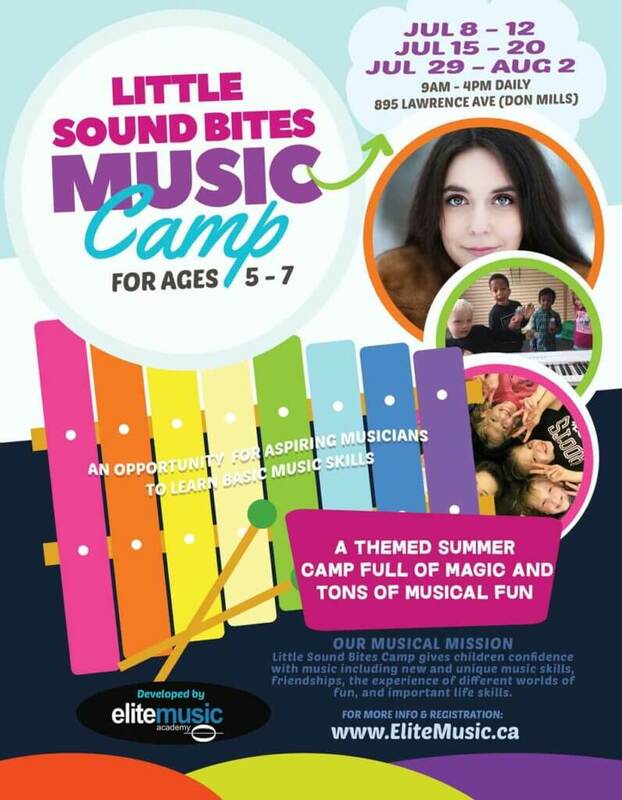 Elite Music Academy’s newest group program, Little Sound Bites, is just what your child’s young mind needs to excel and learn in a new and fun way. Little Sound Bites teaches children creativity, theory, rhythm, instrumentation and other music skills through games and social interaction – making lesson time, play time! We believe children absorb more when they are truly enjoying the learning process. • Have fun while learning! Our goal is to teach your child without them recognizing just how much learning is taking place. 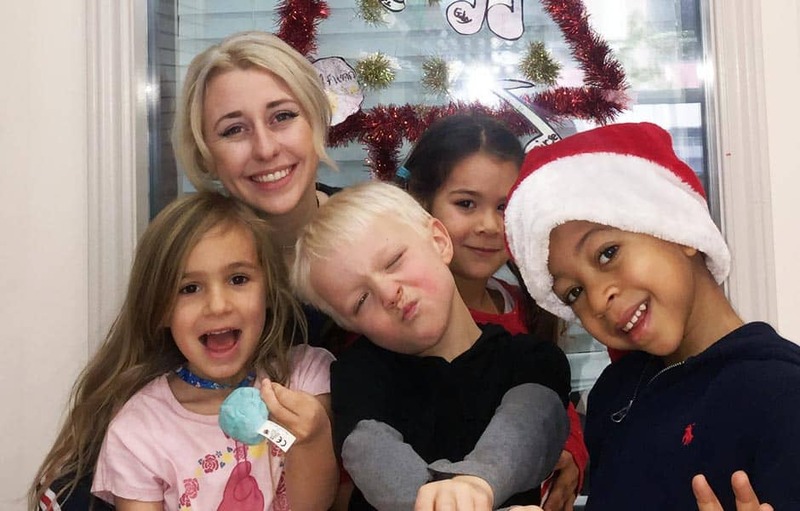 We create a fun and supportive environment for your child to shine in. We have multiple group sessions for both ages 5-7! No other program offers such a wide variety of exposure to musical instruments like ukulele, voice, piano, shakers, tambourines, and many others. Let your child’s first experience in music be fun, motivating, and social! Your child is sure to be inspired for life! Here are just a few of several dozen activities and games your kids will play. Divided into two groups, students will learn eighth note and quarter note rhythms using the words “Coffee” and “Tea.” Once they have the hang of this, they will be given a sheet with a combo of these words and will have to simultaneously say them while another group says them in a different order. Students will be challenged to playback basic rhythms on different instruments or singback vocal snippets when the instructor says “Simon says”. Each day students will have the chance to try and create music as a team. Through collaboration students will have fun and learn about different instruments and group sound dynamics. Each week we will encourage students to sing together using popular songs they suggest. They will learn about pitch, harmonization and group dynamics. At the end of the program, students will present these songs and others in a concert for the parents. Tell us about your musical goals! 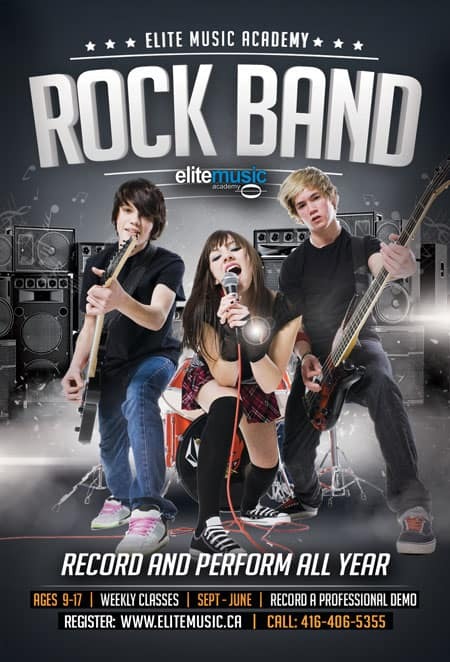 SIGN UP FOR ROCK CAMP!